Cellar Direct: On To Italy! Italy is not kidding around. Not like I needed any more evidence that Bricks was taking this whole half-bottle Advent thing seriously after last night, but I got it the second I peeled back the wrapping paper on Day 2 and “Brunello di Montalcino” stared me back in the face. Yowza. More specifically, tonight’s bottle was the 2012 Caparzo Brunello di Montalcino, a traditional-style bottling from an old-school producer recently given new life. Many know Brunello as Italian wine royalty, and likely the apex of what the Sangiovese grape can do (more specifically, Brunello was once thought to be its own grape varietal but later shown to be a particular clone of Sangiovese called Sangiovese Grosso), but its life as a classified wine region is surprisingly short — it only received formal DOC status in 1968. Caparzo was founded at almost exactly that time, when there were only a baker’s dozen official Brunello producers in the world. It was later sold in 1998 to Elisabetti Gnudi Angelini, who had married at age 20 into a pharmaceutical empire, was widowed young, and then took a left turn with her life into the world of Tuscan oenology, where she has become a standout. I LOVE Brunello. I was not expecting to see a half-bottle of it, well, anywhere, let alone in Day TWO of this calendar, but I dove in with great anticipation, especially since 2012 was a highly esteemed vintage. The wine was a gorgeous silky ruby in the glass and smelled like…mildew? Old dirty showers? Wet newspapers? Oh come on. I have been on a solid streak of luck when it comes to avoiding wine faults recently, but this bottle was horridly, outrageously corked, infected with the fungal-induced TCA compound from the cork (incidentally, they always say that smelling the cork is a plebeian’s approach to checking for taint, but this cork smelled like a dead giveaway, so maybe check your premises). Ordinarily, throughout the entire prior history of my blogging career, my review would have been sunk — the wine was ruined. But ordinarily I did not have TWO other people drinking the exact same wine with pens at the ready! Raymond and Dan, called in on an emergency basis, sent me the following notes and (agreed) score for this bottle. You guys are lifesavers. Damn you 2,4,6-Trichloroanisole (TCA). Worst molecule ever. “Nose of dried red and blue flowers (iris, rose, potpourri), anise, white pepper, a whiff of roasted almond. Palate is loaded with tart cherry pie, cranberry, tomato, and unripe raspberry smeared on a leather-bound book. Some orange peel also emerges, along with oily tobacco, walnut, tar, coffee bean, and a handful of iron filings and road dust.” [Ray] “I get most of those descriptors as well. I would say in general it’s not a big Brunello and seems meant for more early drinking but does have solid structure. Definitely tart cherry and cranberry on the palate and then the leather, thyme, black tea and stone/rock dust flavours take over. Originally I thought the finish was a bit short but as the wine opens more it lengthens — still not overly long but enough to make you contemplate why Brunello is so good.” [Dan] I’m sad I missed the experience (mine tasted like mouldy laundry) but remarkably relieved that any readers of this post do not have to. Fingers crossed for better luck tomorrow! Grocery store wines are making strides. Supermarket labels are no longer (or at least not all) resigned to Two Buck Chuck ignominy, and a select few are starting to pair their expected wallet-friendly price tags with actual quality inside the bottle, making them legitimate value plays in a competitive buying environment. The Kirkland label from Costco comes immediately to mind, a negociant-style operation that sources wines from prestigious regions across the globe (even Champagne! And it’s not bad!) and makes them accessible at a fraction of the cost of other bottles from the area. 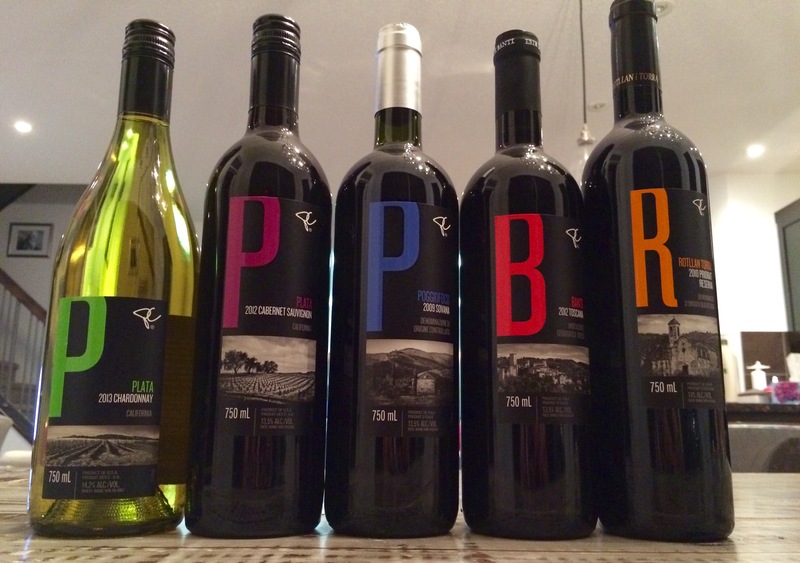 Now Loblaws is making its own foray into the value wine world with a curated lineup of stylishly branded PC Wines, currently only available at an Alberta Superstore liquor store near you. Take that, rest of Canada. A step up from the No Name wine labels. The PC Wines approach differs from similar supermarket offerings in a couple of ways. First, the wine collections will be seasonally rotated, so the five bottles in the fall collection will be replaced with a whole new set of wines in a few months. Second, the pricing is uniform: all of the bottles cost exactly $20, but that price drops to $15 in each case if you buy 3 or more. The fall collection was hand-selected by Aaron Bick, founder of local vino e-commerce site wineonline.ca, and features offerings from four different producers in California, Italy and Spain. Although each bottle bears a PC Wines label, it still recognizes its original producer on the front, which is a nice touch. There’s even some back-vintage stuff in the mix! 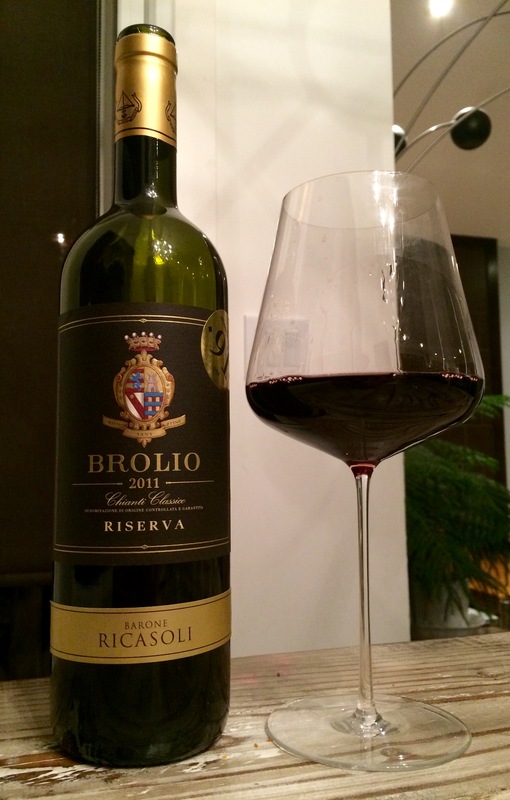 Barone Ricasoli holds itself out as the oldest winery in Italy. Its history certainly marches in lockstep with that of its region, Chianti: the winery’s eponymous founder was the man who first suggested the modern “recipe” for the standard Chianti blend — largely Sangiovese, blended with indigenous varieties Canaiolo, Trebbiano and Colorino — in a letter in 1872. That mix has expanded and adapted since then, but Ricasoli has remained a constant in the area, producing Chianti at all price and quality points, from the entry level to the sublime.